How powerful it is, whether it’s easily used or stored, how much you can make, how easy it is to clean. But sometimes we just don’t have the time to stand by our blender and watch while it makes our food. This blender, however, might help you solve that problem and this Vitamix 6300 review will show you how. With three presets plus adjustable speeds in standard blending, this blender affords the opportunity for the perfect blend every time. It really is extremely powerful, though it will be up to you to decide if the perfect blend is worth some of the more negative aspects of this blender. The Vitamix 6300 is a strong and sturdy blender which comes in white. It has three pre-sets for you to set on the blender in order to be able to simply walk away and let it make your meal of choice for you, turning itself off when the job is complete. These settings are for smoothies, frozen foods, and soups, so there is a range of foods able to be made in this blender. This Vitamix 6300 watts blender has all the power you will need to make a perfectly smooth blend every time. The Vitamix 6300 container is tall and thin, able to hold a decent amount of liquid. The canister does not come apart from the base. The blender also comes with a pulse feature for making thicker soups and other recipes. One of the most impressive features of the vitamix 6300 is that this is a vitamix pre-programmed blender. This means that the blender comes with three presets that allow you to put your fruits, vegetables, or whatever other foods you are making and just put on the preset. This allows you to simply put on the blender and walk away, it will turn off on its own when it is finished blending. This is perfect for people with children or who need to be able to do more than one thing at a time. I am a student, and this setting allows me to just set my blender and walk away, reading a couple of pages and making some notes while I’m cooking or making breakfast in the morning. This surely makes some of my work a bit less stressful, as on days when I use this blender, I don’t feel like I need to take out huge chunks of time just to blend my morning smoothie. For people with kids they have to be watching as well, these presets are perfect. It allows you to keep an eye on their antics if you don’t have any help. This is the tool of the power-mom, the one who needs to be able to do a million things at once. To those moms, I salute you. This blender could be a huge weight off of your shoulders. The different presets mean that you don’t just need to want to make one thing in order to utilize it. You can chop up frozen foods, make perfectly smooth smoothies and hot soups at the push of a button. This allows for variety, it allows for something different. You can experiment and try new things, and if you’re one of those super moms, maybe you’ll be able to experiment and try new things with your children, too. It’s always worth a shot. This is the best blender I have ever used for smoothies. It has a ridiculously powerful motor, and most of the time I don’t even need to chop the fruits and veggies very finely before I can chuck them in the blender: the blender quickly and effortlessly pulverizes these foods and creates the best smoothie I can ask for. Most other blenders I have used before this one leaves a few bits of leafy greens or seeds and oats and other things I like to put in my smoothie, but with this blender I have never had a problem. 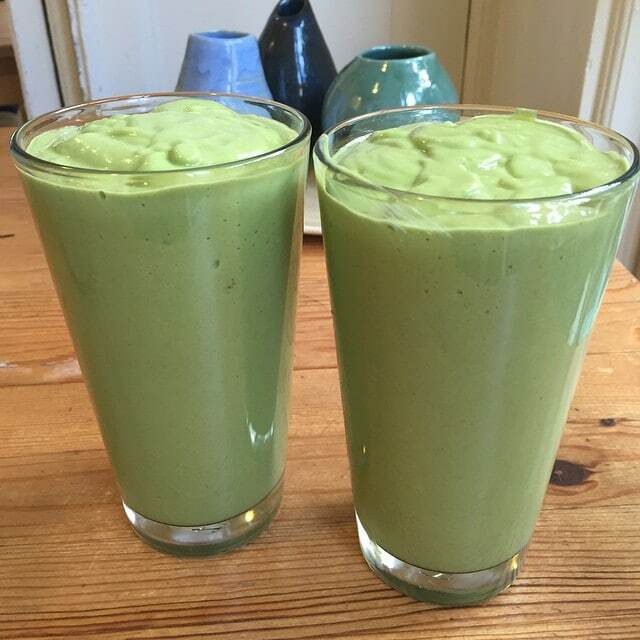 It is the most perfectly smooth smoothie I have ever been able to make. 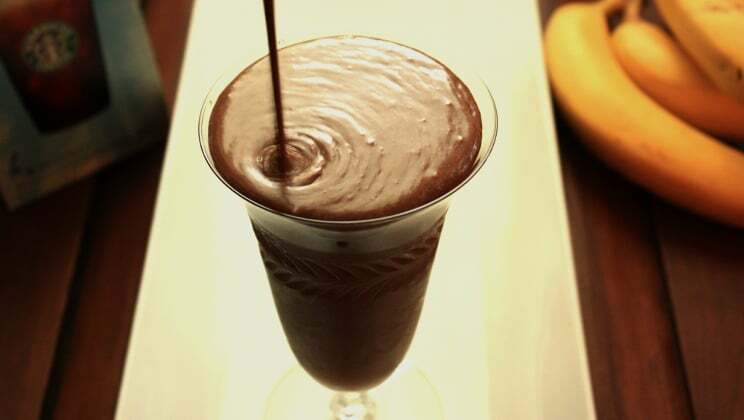 The blender does, however, has a feature where it heats as it blends. This could be really good for soups, but for smoothies, which I prefer to drink cold, it can be really annoying. Some mornings I have to nuke it in the freezer for a while before I can actually drink it, which can be super annoying when I have to get out to work or class. The fact that the blades can’t always handle ice and thicker fruits like apples without liberal use of a tamper can also be annoying in my morning rush, I don’t always have the time to keep an eye on my breakfast, especially since the presets are meant to make this easier. This isn’t a problem every day, it’s not something I have to deal with every recipe. I recommend you at least try these thicker or more frozen recipes before you decide, and you can choose for yourself whether you think having to keep an eye on it is something that is more annoying than helpful. This blender may also make perfectly smooth smoothies, but the power is such that this makes perfectly smooth everything. The pulse feature is great for thicker recipes, but for recipes like soup, sometimes that powerful can be a bit of a problem. Unless you want all of your soups to be the texture of tomato soup, or if that’s something you think you can get used to, the power in making the soups might be a bit too much. This is another thing that may be something you want to think about, but while the heating feature is great for making soups but not smoothies, the power is excellent for smoothies but not so much soups. It’s a toss-up. This blender is huge. The vitamix 6300 container is very tall, and it does not come disconnected from the base. According to the product description, the whole blender weighs a whopping eleven pounds. This means it can be difficult to carry, and sometimes impossible to store. If you use it a lot, you might be able to just keep it out on top of your counter. Quite a few users found that this was the case with how often they used their vitamix 6300. However, if this blender is something you feel you will use less rather than more, it’s important to think about storage before you buy it. It is bulky, large, and you will not be able to collapse it down and remove the container. It’s also very heavy, making it difficult for people who may be pregnant, disabled, or who otherwise have difficulty lifting heavier objects. Its large size, particularly in the base, also means it is very loud. It can be incredibly distracting, for example, if I am trying to get a bit of extra work done when I am trying to make my breakfast before class in the morning. Sometimes, guests have asked me to turn the blender off or have left the kitchen when I am making breakfast because they could not handle the noise. This is certainly not a good blender for students living in dorms, and perhaps not for people living in cramped apartments. Anywhere where the neighbors will be able to hear you through the walls might not be a blender that makes the same amount of noise as this, especially if you are, either by nature or circumstance, an early riser. The noise is the biggest problem, along with the size, that I have encountered with this blender. It may be something to consider, depending on your living situation. However, it’s not wholly distracting, and it is something you get used to. It may not be a problem for you. It never hurts to try it. Of course, when you order the vitamix 6300, you’re not just ordering a blender. Vitamix will send you a selection of fun goodies for you to enjoy and use alongside your blender. These vitamix 6300 accessories can help make exploring your new blender enjoyable and fun. First, the blender comes with a tamper spatula, which will help you get those extra bits of gunk out from under your blades when they get caught. 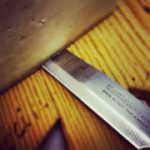 This is the ultimate solution for those frozen recipes, frozen fruits, and thicker foods that I mentioned may get caught in the blades. Use the tamper spatula to unclog the blades and you’re back on your way, super easy, and super useful. The blender also comes with a cookbook and DVD with all sorts of vitamix 6300 recipes. The cookbook and DVD give so many ideas about soups, smoothies, and even things like almond milk, all that you can make in your Vitamix 6300. This was especially useful for me when I first got the blender, since I love following recipes. I’m not a particularly good experimental cook, I need specific instructions to be able to make palatable food, and this means that with the recipes I know well, I have a pretty specific and limited diet. There are only so many recipes I have completely memorized, especially for things like breakfast smoothies I want to make quickly before I run out the door in the mornings. I spent several weeks just experimenting with the vitamix 6300 recipes and just trying new things with it. 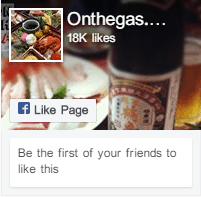 It really allowed me to expand my food-related horizons and left me not as bored and trapped with the different types of food I could feasibly make. 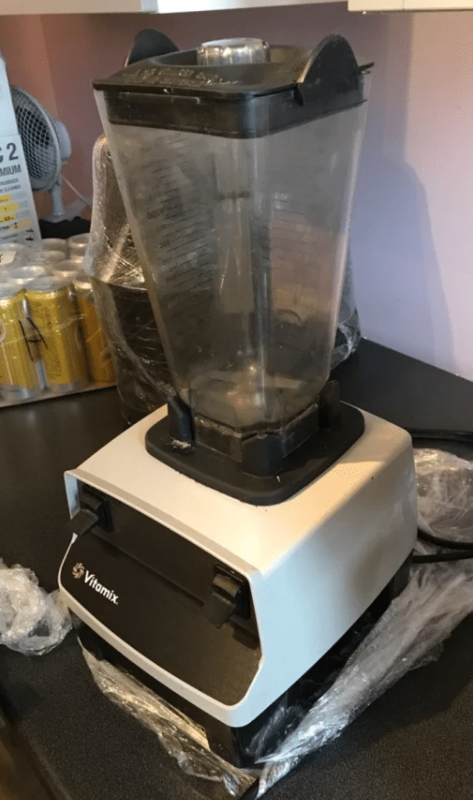 This blender also comes with the vitamix 6300 warranty. Vitamix, as a company, claim to be very proud of their products and promise a full warranty for their products. They want to make sure they are delivering a quality product and will give a full refund within seven years on their entire product and shipping both ways if and when this may be required. This is a really good feature and even though I decided that the pros outweighed the cons and I did keep the blender, it did give me some peace of mind that I had the option should I need it. 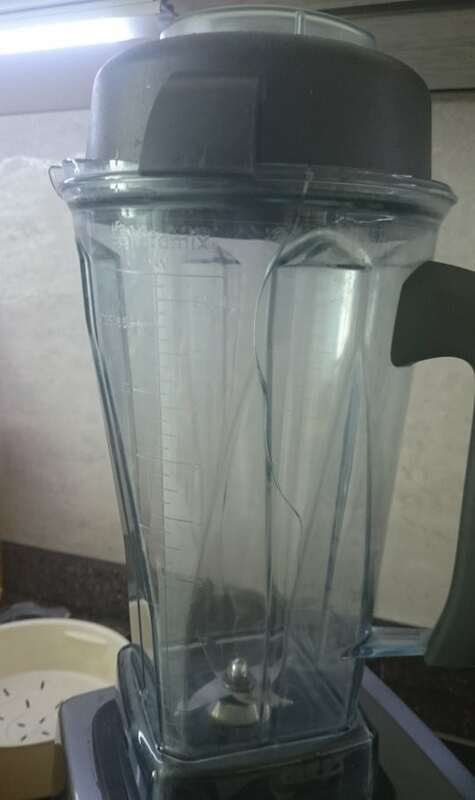 The Vitamix 6300 might not be a perfect blender. There are a lot of things that worried me when I started using it, the noise, the size, the weight, the fact that sometimes “set it and forget it” doesn’t always mean you can actually forget it. But this blender packs an intense punch and makes the best smoothies I’ve ever tried to make. Sure, I might have to nuke it in the freezer, but if I make the smoothie with my cup of tea, by the time I’m ready to leave after drinking the tea, the smoothie is usually the perfect temperature. It works really well for me, and while I understand why it might not work for everyone, it was certainly something I don’t regret buying. It’s helped me to really broaden my recipe horizons and I love the cookbook and DVD. It makes blending fun, something that doesn’t feel right to say. 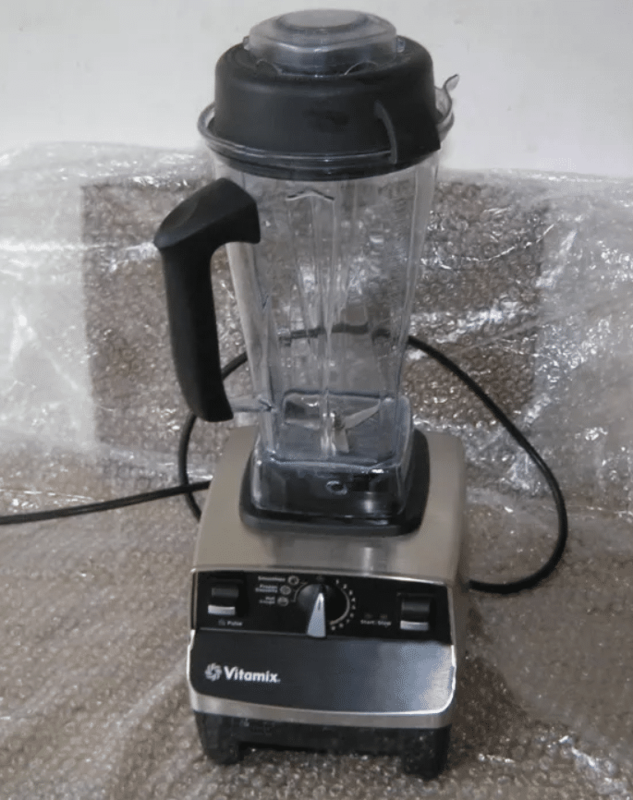 Hopefully, this Vitamix 6300 review gives you enough information about the blender, and helps you decide if it suits your blending needs.